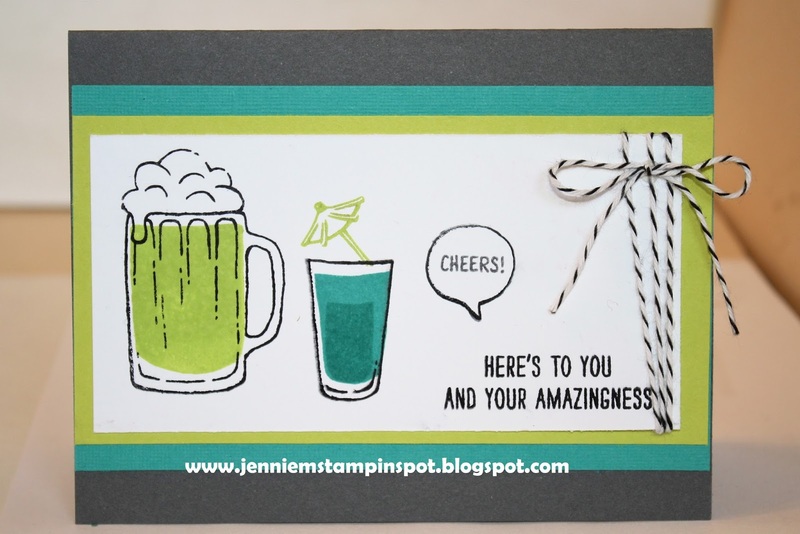 This thank you card uses the Splitcoast Color Combination #649 here. The colors to use are Basic Gray, Bermuda Bay and Lemon Lime Twist. It also qualifies for the What Will You Stamp#130-Mixed Drinks here. Mixed Drinks is the stamp set. Fun color combo, Jennie! I like how you've used it with Mixed Drinks stamp set. Thanks for joining the challenge this week at WWYS. Such a fun, fresh card Jennie. Love your design. Thanks for joining us this week at What Will You Stamp.